Another one of those phrases that’s thrown around in casual conversation, especially among mom friends. 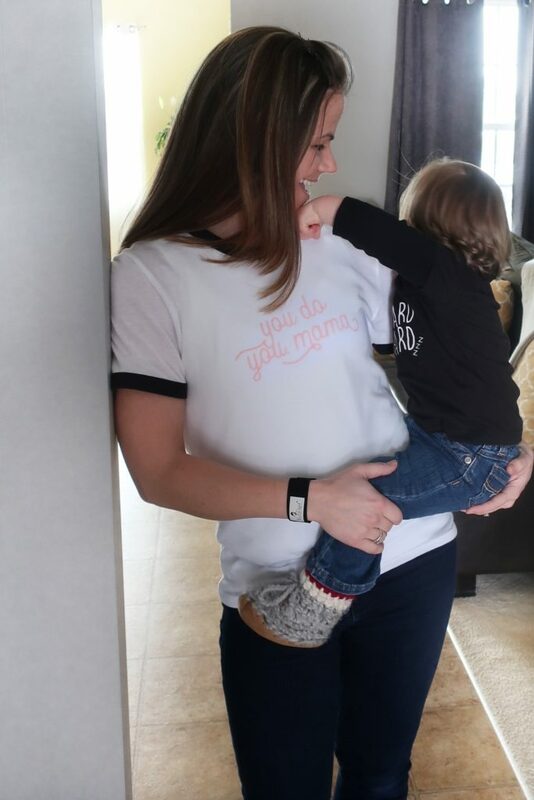 Its presence is growing rapidly on social media – the hashtag #youdoyou has been used almost 250,000 times on Instagram alone. So it’s likely you’ve said it, but have you ever taken the time to think about what it actually means? We say it, but do we mean it? When you say to someone, ‘You do you,’ you’re insinuating that you’re not passing judgment. You’re validating that I have the right to do what works for me, regardless of whether or not it may be how you would do it, and you’re not going to judge me for it. I get it now. I didn’t get it before I became a mom. But I get it now. I don’t like to not be good at something. Trying new things makes me nervous. Change makes me uncomfortable and sends my anxiety through the roof. It’s probably why my work ethic is so strong…and also why I have insomnia. I work really hard to try and be the best at everything I attempt because mediocrity is frustrating to me. I still haven’t figured out where that comes from, but needless to say motherhood terrified me. Especially because my first pregnancy resulted in a miscarriage and it didn’t matter how many people told me it wasn’t my fault, it didn’t matter that deep down I KNEW it wasn’t my fault, it was almost impossible for me to not accept at least some responsibility. Motherhood was already so messy, and I hadn’t even really started yet. I grieved the loss of my first pregnancy something fierce, and I prayed so hard for this rainbow baby of mine. She was going to get my very best. While I was pregnant the second time, I read every parenting book and article I could get my hands on. I followed every blog and signed up for every newsletter. 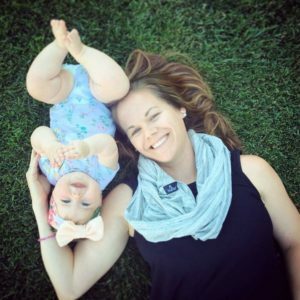 I pestered my mom friends with a ridiculous amount of questions about every topic imaginable, from best diaper brands to favorite bottles to must-have registry items and breastfeeding necessities. I wanted to be prepared. I wanted ALL of the information. Because I wanted to be the best mom. The perfect mom. And I subconsciously judged all the moms who were doing things differently than I planned on doing them. I’ll wait until you’re done laughing…or rolling your eyes…or cleaning your screen because you spit out whatever you were drinking (probably cold coffee if you’re a mom) all over it. It’s ridiculous, I know. And I’d like to offer a blanket apology to everyone who was a mom before me. At some point or another I probably (most likely) judged your parenting. 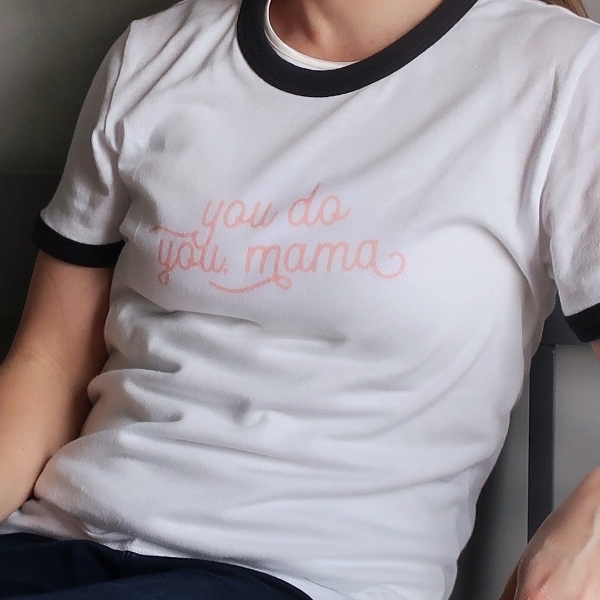 So when Aubrey from MintBerry Market created this wonderful You Do You Mama t-shirt, I couldn’t wait to get my hands on one. Partly because I can now be my own little walking billboard in support of judgment-free parenting, and partly because this shirt (like everything else I own from this amazing shop) has that super-soft, broken-in, had-it-for-10-years-but-it’s-still-perfect feel to it. It’s so my jam. Know what else is my jam? One of the best parts of becoming a mom (aside from the tiny little human who rocks your world and the overwhelming love you weren’t capable of before) is the tribe that comes along with it. I couldn’t ask to be in a better club. Being a mom is hard. Really. Freaking. Hard. And the only people who get it are the women who’ve been there. The moms who have used their shirts as burp cloths and snot rags. The moms who have forgone sleep for days to stay up around-the-clock with a sick little one because no one else can do it like Mama can. The moms who continue to breastfeed through thrush, clogged ducts and mastitis. The moms who drink lukewarm coffee for breakfast and eat cold food for dinner. The moms who make sure the homework is done, the uniforms are clean and the snacks for the classroom are made. These are my people now. And if there’s one thing they’ve taught me in my rookie days as a new mom, it’s that you have to do what works for you. It’s so easy to get caught up in trying to keep up. But the harsh reality is, no one does motherhood perfectly, not by the traditional definition of perfect anyway. Whether you’re breastfeeding, formula-feeding or combo-feeding. Whether you took advantage of all the drugs (amen for epidurals) or had a ‘natural’ delivery (by the way, there is nothing natural about an opening the size of a Cheerio dilating to the size of a bagel, to facilitate the passage of something twice that size…I don’t care what the medical textbooks say). Cloth diapering or spending a small fortune on Huggies every month. Babywearing all day long or replacing the batteries for the Rock ‘n Play every other week. Bed-sharing, co-sleeping or getting your money’s worth for that crib. Homeschooling or letting your hellions loose in the public school. Eating organic every meal or on a first-name basis with the guy who runs the drive-thru window. SAHM, WAHM or your baby spends 50+ hours a week at day care. Whether you entered into motherhood biologically, through adopting or fostering or you married into the role and are now rocking the step-mom thing. Are your kids happy? And more importantly, do they know how loved they are? Then you’re doing a good job. 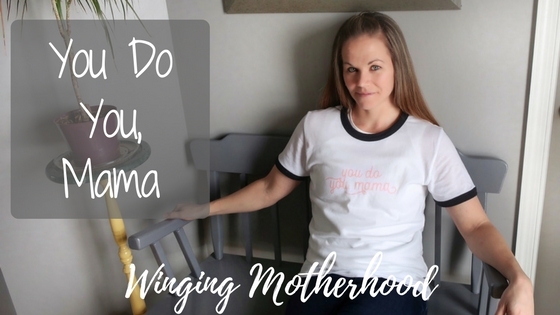 It’s not in my nature to ‘wing it’, but that’s exactly what I had to do when I became a mom. Because that’s the only thing you can do. And it was confusing, and frustrating, and exhausting. I like to plan. I like to be prepared. I like to do it right the first time. I believed that there was always a right and a wrong way to do things. But you can read all the books, and ask all the questions, and try to emulate the very best moms you know…it doesn’t matter. 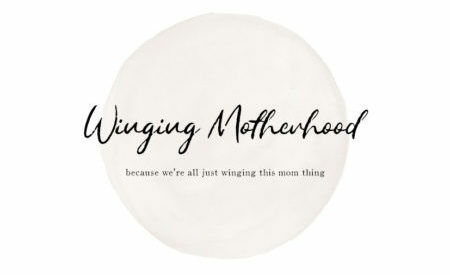 You just end up winging it. Because every child is different. What works for someone else may not work for you. What works for your first child may not work for your second (and definitely won’t work for your third, because from what I hear the third kid is the crazy one). You know what you can do? You can do you. And let everyone else do the same. You can remember that we’re all in this motherhood thing together. If we spent more time being kind, and less time judging or trying to compete, we might just enjoy the ride a little more. 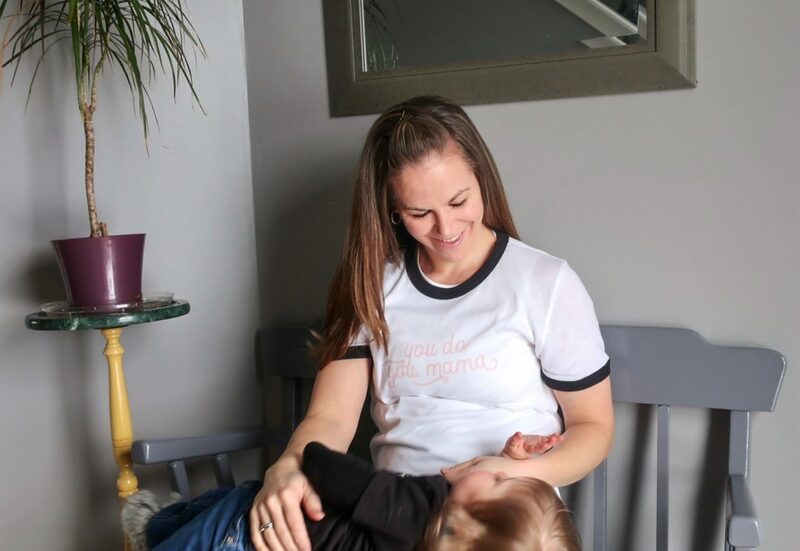 To get your hands on one of these amazing tees, visit MintBerry Market and support this amazing mama and her small shop.